Simon, our bike guru will service your bike to make sure its in tiptop shape so the only missions you’ll have are the ones you’ve signed up for. Our bike technicians will service your bike to make sure its in tiptop shape so the only missions you’ll have are the ones you’ve signed up for. 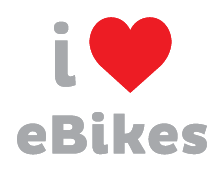 Northland ebikes are certified ebike technicians so your bike is in safe hands. If you have an ebike that was not purchased from us and is not working anymore we will happily take a look at it to see if we can diagnose the problem. The $59 fee covers our time to try to identify the issue, however we can not guarantee that we will be able to find the issues but hopefully we should be able to get you on the road again. Need to ship your bike somewhere or take it on the plane? We can dismantle your bike and pack it into a box for shipping or flying (not including battery - as this cannot be taken on flights). We’ll weigh the bike in box to ensure it fits within the 23kg airline limit.